A year after a US-backed alliance of Syrian fighters drove the Islamic State group from the northern city of Raqa, traumatised civilians still live in fear of near-daily bombings. "Every day we wake up to the sound of an explosion," said resident Khaled al-Darwish. "We're scared to send our children to school... there's no security," he added. 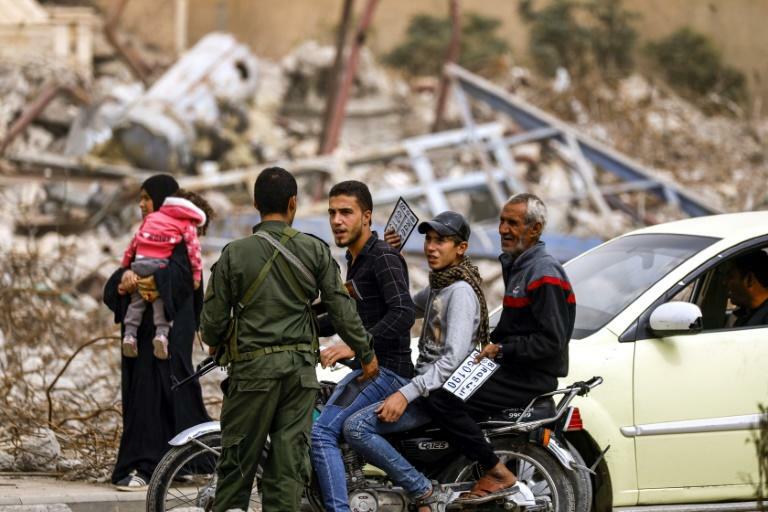 The jihadists' brutal rule in Raqa was brought to an end in October 2017 after a months-long ground offensive by the Kurdish-led Syrian Democratic Forces supported by air strikes from a US-led coalition. 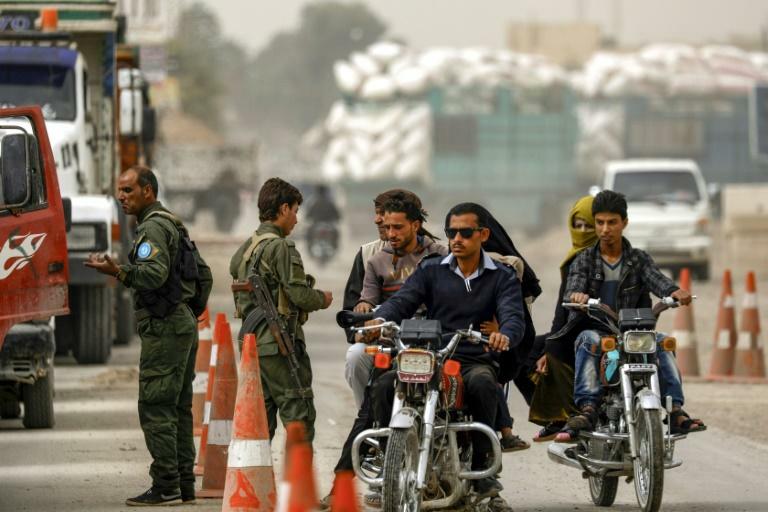 But despite manning roadblocks at every street corner, the SDF and the city's newly created Internal Security Forces are struggling to stem infiltration by IS sleeper cells. At Raqa's entrance, soldiers verify drivers' identity papers and carefully sift through lorry cargoes. Inside the city, there are regular foot patrols and armoured vehicles sit at strategic points. "If there wasn't fear about a return of IS, there wouldn't be this increased military presence," said Darwish, a father of two, speaking near the infamous Paradise Square. It was here that IS carried out decapitations and other brutal punishments, earning the intersection a new name -- "the roundabout of hell". While the nightmare of jihadist rule may be gone, most of the city still lies in ruins and there are near daily attacks on checkpoints and military vehicles, according to the Syrian Observatory for Human Rights. Although a series of stinging defeats have cut IS's so-called caliphate down to desert hideouts, the jihadists still manage to hit beyond the patches of ground they overtly control. 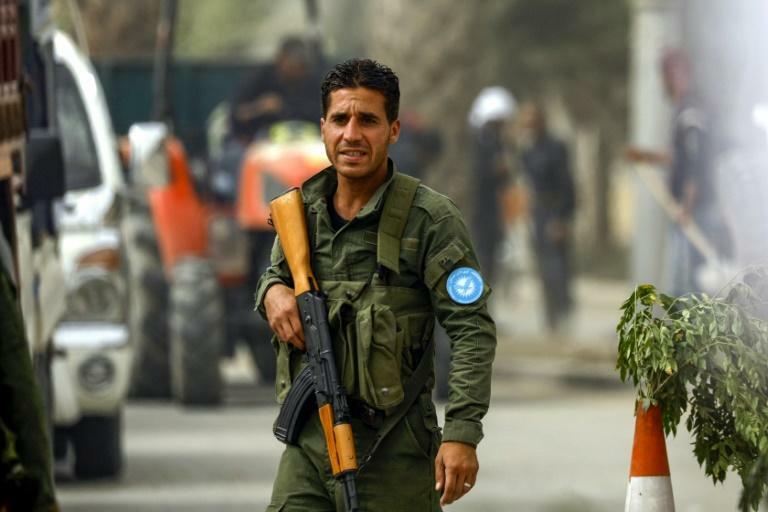 Some Raqa residents say the city's new security forces lack the expertise to cope. "We are exhausted. Every day we don't know if we will die in a bomb explosion or if we will go home safe and sound," said Abu Younes, sitting in his supermarket near a roundabout not far from Paradise Square. "There is no security -- (the new security forces) on the roadblocks are not qualified and there is a lot of negligence," he complained. "There are faults that enable IS to infiltrate the city easily and carry out attacks." Shops have reopened and traffic has returned to major roads -- albeit choked by the impromptu checkpoints. In a public garden, children climb up a multi-coloured slide and onto dilapidated swings as their mothers sit on nearby benches carefully keeping watch. They are set amidst an apocalyptic backdrop of twisted metal and splayed balconies -- the remnants of buildings torn apart by US-led coalition air raids. "We're scared because of the presence of IS members in the city," the 28-year-old said. "The security forces need to tighten their grip." Ahmed Khalaf, who commands Raqa's Internal Security Forces, defended the work of his men and claimed successes against the jihadists. He said patrols are highly organised and that a "joint operation cell" had recently been established with coalition forces to monitor the city's security. "Recently we arrested four (jihadists) -- it was a cell that took part in attacks that terrorised the city," said Khalaf, sporting plain green fatigues. "We are continuing our investigation to uncover the other cells," he added. "Daesh's goal is to destroy the country and to not let anyone live in safety," he said, using an Arabic acronym for IS. "The nightmare of IS follows us everywhere -- whenever we try to rest, explosions start up again," said the 36-year-old, as she shopped with her young ones. "The war has worn us out. Us and our children. It has destroyed our future," she said.